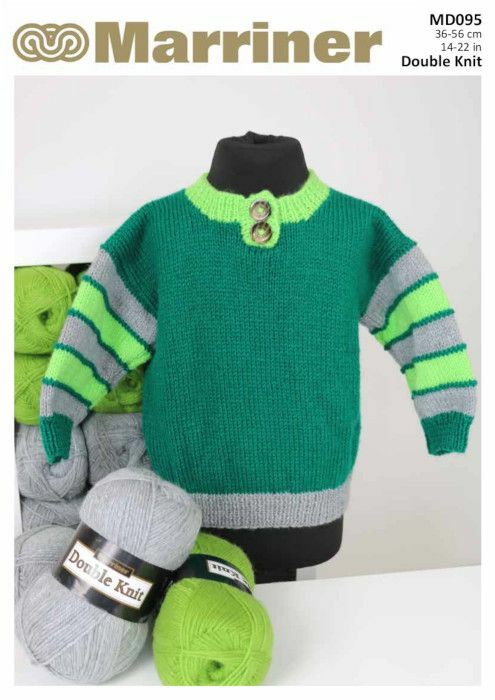 A beautiful classic jumper shape with contrast stripes on sleeves to match the hem and buttoned collar. Knitted in our classic DK. 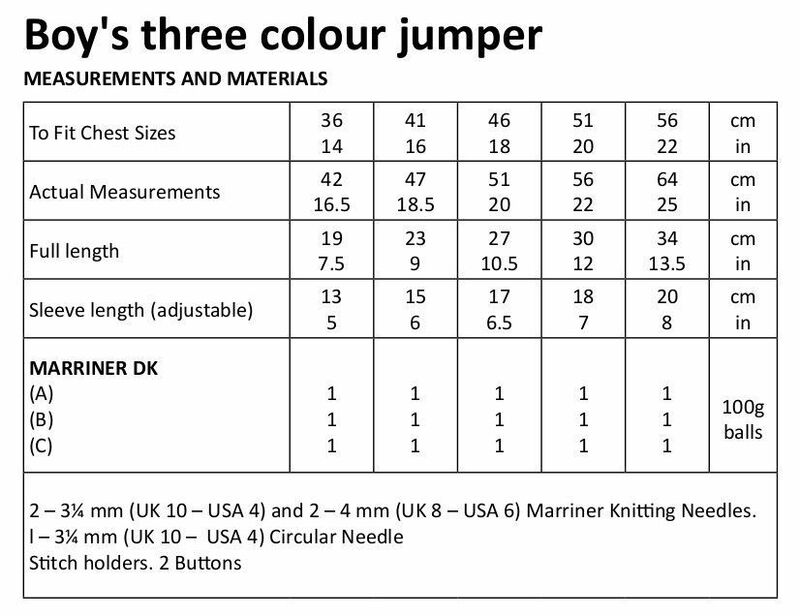 Hooks required A pair of 3¼ mm (UK 10 - USA 4) and a pair of 4 mm (UK 8 - USA 6) Marriner Knitting Needles. A 3¼ mm (UK 10 - USA 4) Circular Needle. Stitch holders. 2 Buttons.